Updated 5:58 p.m. | Posted 12:01 a.m. Prosecutors on Tuesday attacked the credibility of Minneapolis police Sgt. Shannon Barnette, the supervisor on the scene after officer Mohamed Noor killed 911 caller Justine Ruszczyk. Barnette has emerged as a key figure in the trial of Noor, who faces murder and manslaughter charges in Ruszczyk's 2017 shooting death. She has refused to cooperate with a state investigation into the shooting. Lots of testimony from..Sgt Shannon Barnette at #Noortrial as prosecutor Amy Sweasy questions why her current testimony and grand jury testimony didn't match up and why she didn't document conversations after shooting including numerous ones with Harrity. According to trial witnesses and prosecutors, Barnette deactivated her body camera multiple times during the night of the shooting, jumped to conclusions about whether Noor and his partner had been startled before Noor shot, and told another officer that Ruszczyk was "probably a drunk or a drug addict" after she was killed. Toxicology tests showed Ruszczyk did not have any alcohol or drugs in her system. On Tuesday, prosecutors grilled Barnette about inconsistencies in her statements. Hennepin County Judge Kathryn Quaintance said it appeared that the attorneys were trying to impeach Barnette. Now a former officer, Noor is charged with second- and third-degree murder and second-degree manslaughter in the killing of Ruszczyk, also known as Justine Damond, in July 2017. She had called 911 to report what she thought was an assault happening behind her home. Investigators say Noor, one of the responding police officers, shot Ruszczyk through the open driver's side window of the squad in an alley near her home. Barnette was uncooperative on the stand Tuesday and repeatedly said she couldn't remember details about the shooting. But under questioning from prosecutor Amy Sweasy, she revealed new pieces of information about the investigation. In an interview with the state Bureau of Criminal Apprehension weeks after the shooting, Barnette said Noor's partner, Matthew Harrity, told her there was a woman at the driver's side window "and she had a stunned look on her face." Barnette clarified that she'd had several conversations with Harrity well after the shooting and that she only spoke to him once at the scene. Barnette denied she said anything to the BCA about a slap on the squad car, but admitted that the noise was likely something officers assumed happened, and she picked up on it. It was something that "stuck in my brain," she said on the stand. The testimony about an alleged thump on the squad car is important because of a key dispute in the trial. Noor's defense attorneys have argued the officer fired his weapon fearing for his safety after hearing a thump on the squad and then seeing a figure by the driver's side window raise an arm. Prosecutors, however, say that the thump was a story made up later, that no police at the scene that night talked about a thump on the squad and that Ruszczyk, who was in her pajamas as she approached the squad, could not have been considered a threat. Barnette testified that she wasn't concerned about the condition of the victim. Additionally, prosecutor Sweasy quoted from a BCA interview where Noor asked Barnette about the status of Ruszczyk. Barnette replied, "I'm not going to worry about that right now. I'm worried about you," according to the transcript Sweasy cited. Noor could be seen on Barnette's body camera video briefly. He raised his left arm, then the right arm. Prosecutors suggested that Noor was demonstrating how he shot Ruszczyk from the passenger seat, but Barnette vehemently denied talking to him about the shooting at all. She said she didn't document the conversation because it was private and that the body-camera policy at the time allowed for officers to use discretion. 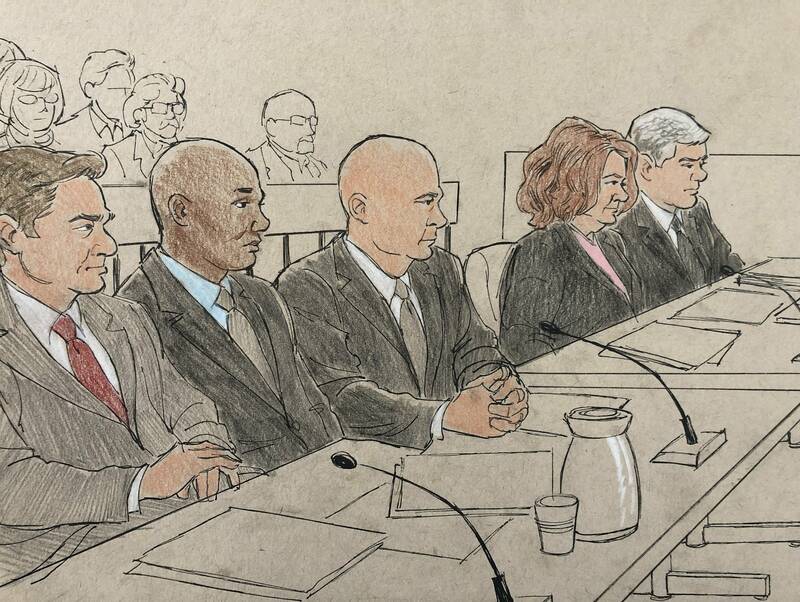 Throughout the testimony, Barnette casually answered "no," "I don't know," or "I don't recall" to questions about her lack of documentation and evidence-gathering, prompting the prosecution to ask her if she knew how important and high-profile the case was. The court on Tuesday also heard from a Minneapolis police inspector at the scene that night saying she was "frustrated" by the way state inspectors handled a potentially crucial piece of evidence. Kathy Waite, now the department's deputy chief, questioned why Minnesota Bureau of Criminal Apprehension agents chose to process Noor's squad vehicle for evidence on site that night, rather than towing it to the impound lot for investigation. She told jurors the squad should not have been washed or returned to service. Waite also told the court Tuesday she did not hear anyone that night talk about a noise or a slap on the squad. Barnette was the police officer who sent Noor's squad vehicle in to be cleaned and put back into service after the BCA returned it. She said that she talked to the BCA about it three times. 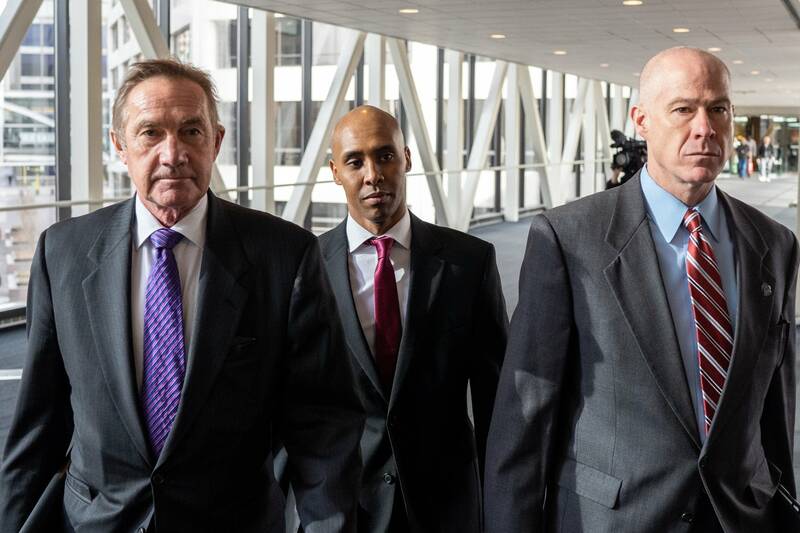 Questions are also being raised in the trial this week about the level of cooperation prosecutors say they received from Noor's colleague on the force after the shooting. Last year, Hennepin County Attorney Mike Freeman accused uncooperative Minneapolis police officers of leaving him no choice but to call a grand jury that would compel them to testify about the shooting death of Justine Ruszczyk. This week, prosecutors are revealing more about the extent of that alleged lack of cooperation. They say officers and union officials held a meeting to discuss withholding information from the criminal investigation into the July 2017 fatal police shooting. The meeting took place in the cafeteria of the Hennepin County Government Center prior to the refusal of about 20 police officers to talk to investigators, Assistant Hennepin County Attorney Patrick Lofton said Monday. Quaintance warned prosecutors not to interview witnesses about the meeting, saying it's not relevant to the case. She said prosecutors can show officer bias by highlighting their refusal to testify, but not through talk of secret meetings. Defense attorney Peter Wold characterized the prosecution's stance as "continued prosecutorial misconduct," and said "the suggestion of this conspiracy is reckless." Quaintance clarified that when she characterized the officers' refusal to cooperate as a "conspiracy," she was not being sarcastic. "If 20 officers are meeting in the basement to decide not to tell what they know to the county attorney's office, that is a problem," Quaintance said. "But I don't think that's Mr. Noor's problem." Lofton grilled officer Ty Jindra about refusing to interview with investigators or to prepare for the trial with prosecutors. Activists in December 2017 captured Freeman expressing frustration about the investigation into Ruszczyk's death. In order to compel information from police officers who'd declined to be interviewed, Freeman convened a grand jury in January 2018. After jurors left the courtroom, Lofton argued that the fact that a grand jury was convened is important for jurors to know, especially following earlier testimony from Sgt. Jarrod Kunze, who told the court he didn't have a good reason for not filing a report after the shooting even though he sat alone in a car with Noor. "This wasn't a grand jury for an indictment; it was a grand jury to compel testimony," Lofton said. "The grand jury was convened because officers en masse were refusing to come in." Quaintance also expressed outrage that one witness, Police Officers Federation of Minneapolis President Bob Kroll, talked to the Star Tribune this week about the Noor case. She said Kroll, who's on the prosecution's witness list, has already violated the sequestration order for witnesses by attending a hearing in the court's overflow room. Dozens of Minneapolis police officers are on the prosecution's list of potential witnesses and have not yet been called.